I had everything at home minus the ripstop nylon and the PolyFil batting. 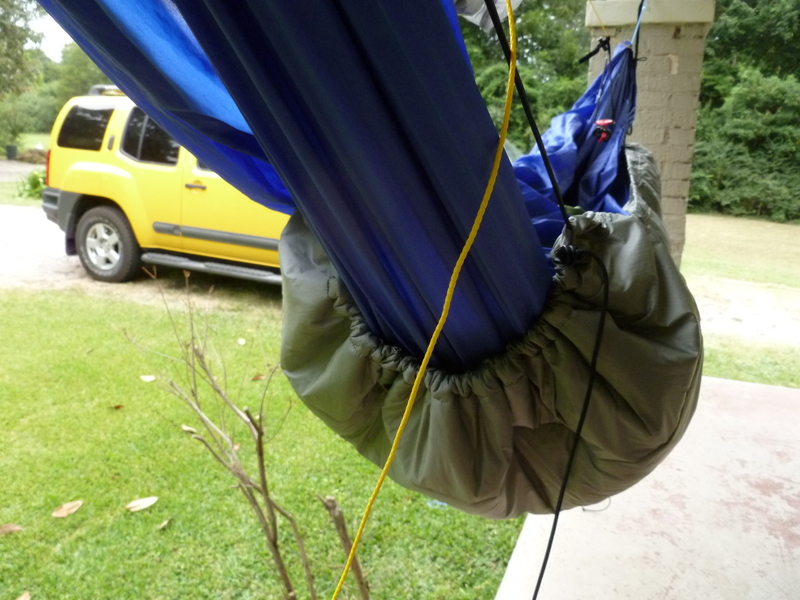 I bought 5 yds of the ripstop nylon simply because it is so inexpensive, but 4 yds would have been adequate. After it was all said and done, since I already had the other items at home, I ended up spending about $13 on supplies. I began by hemming 3 of the edges, and then sewing channels in each of the 3 edges. 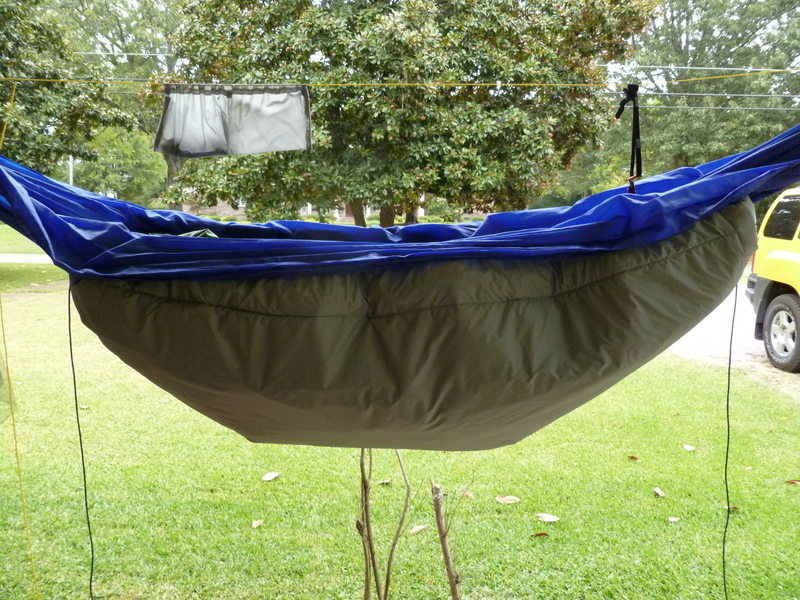 Once I did this, the ripstop nylon was essentially a large pocket. 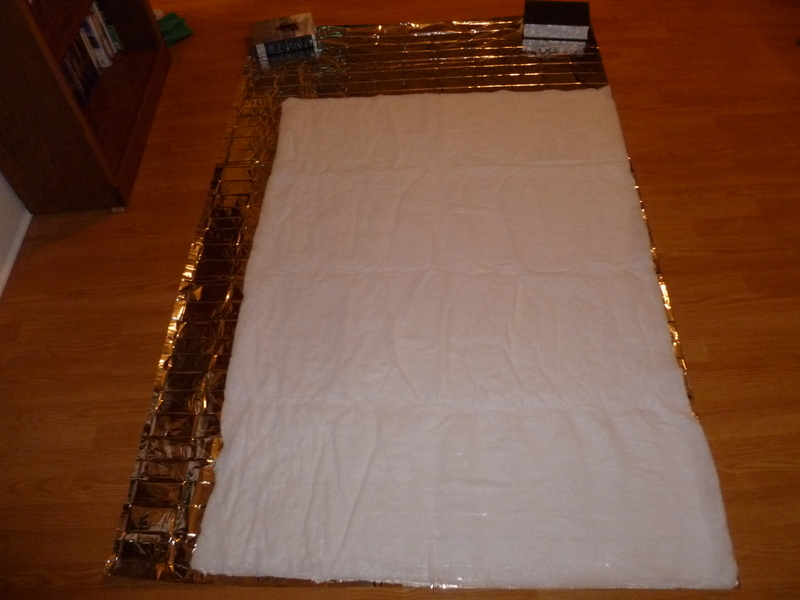 I then took the mylar sheet with the batting attached and slid it into the pocket. Once this was done I hemmed the last edge of the ripstop nylon pocket and folded it over, again, creating another channel. Finally, I sewed a seam about 6 inches in from the edges all around the now finished under quilt. (This seam stabilized the mylar sheet with the batting so that it would not slide around inside the ripstop nylon pocket.) Now I just needed to run the cord through the channels I had sewn. For this I used the 3 mm cord that I happened to have lying around. I ran one end of the cord through one of the channels along the long edge of the under quilt and then back down the other side. Then I simply cut the cord and tied the 2 ends together. I attached a small carabiner to each end. In ~ 70 F temps, it was really hot. I think I need to replace the channel cords with shock cord. Due to the mylar sheet, it is a little crinkly. I need to figure out something better than the small wooden toggles. So, that’s it. Thanks for reading and watching. And like I said, if you have any suggestions (or even questions) please let me know! Hey, Stick. I’m just getting into hanging, my own self. I was thinking about a DIY UQ as I’m in the NE. 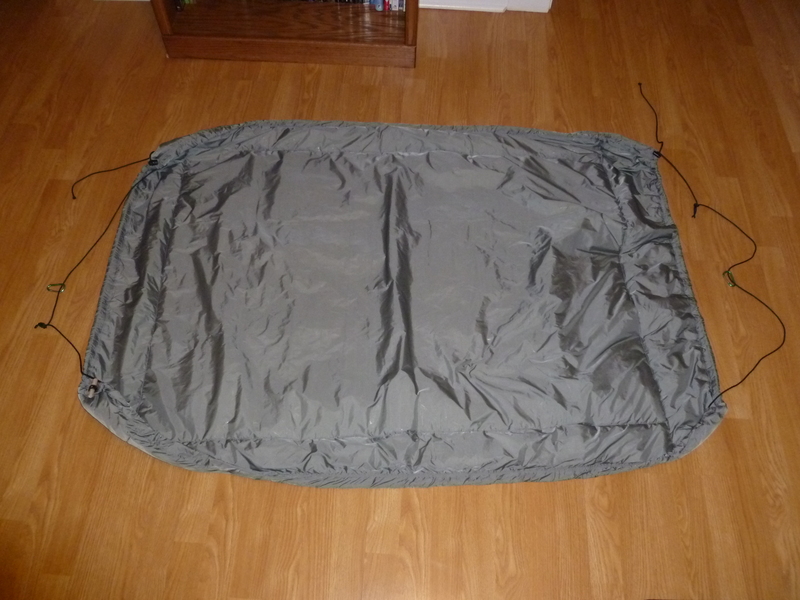 I’d thought getting a cheap sleeping bag (~$15) and then using one of those windshield blockers that are reflective on one side. They’re foam-backed, so may provide some insulation as well as reflection. They’re super light and cheap. I get mine from a local $1 store. I use them to make koozies for FBC. Further, would it make sense to make the UQ run more of the length of the hang? Basically, sew it to look like a cigar when loosely rolled up by folding it along the diagonal, and then cutting off the extra and sewing the open seams shut. Or, I suppose you could tack the fabric first and then cut. You’d get better coverage beneath, as well as a tighter fit near the suspension. 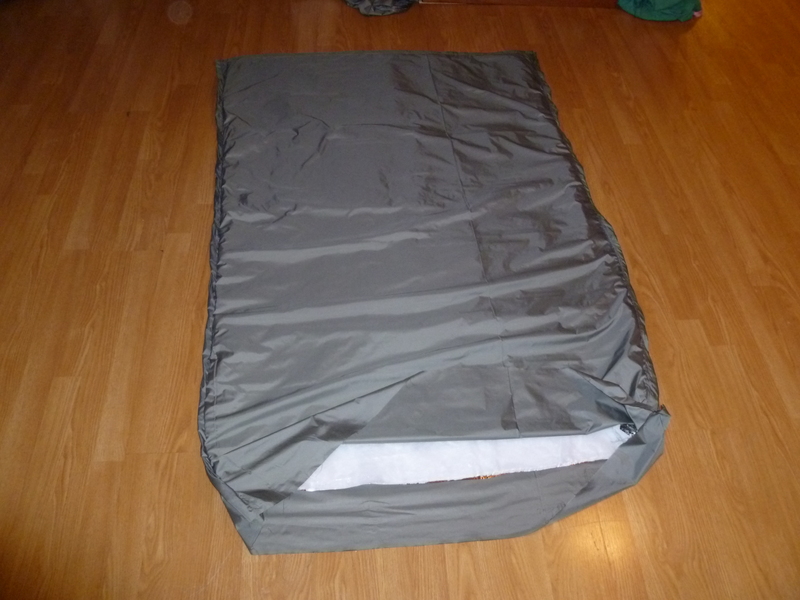 There are lots of ways to go about making an inexpensive underquilt. 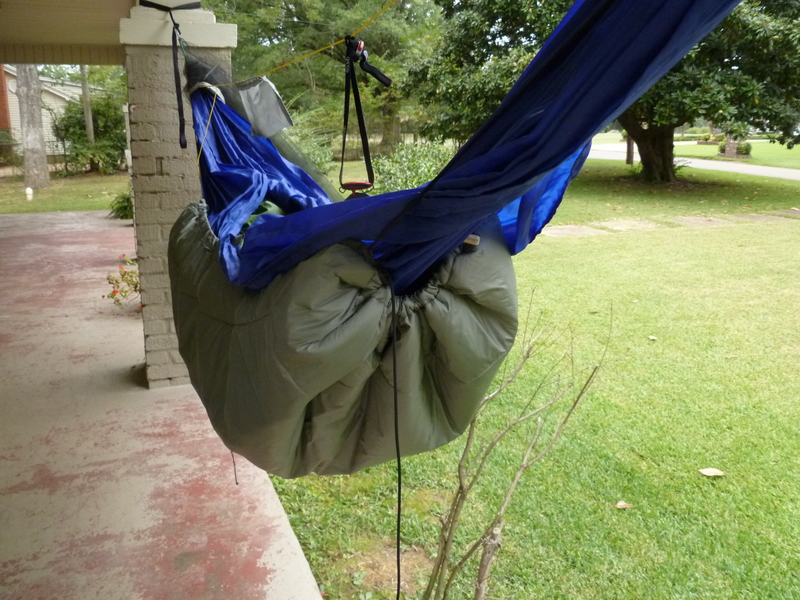 If you are looking for more info, I would definitely suggest to head over to Hammock Forums and search there. Lots of great info, with more experience than me.